A Palo Alto company is about to launch an app that will allow teachers to alert law enforcement officers exactly where they are during an emergency. Bob Redell reports. 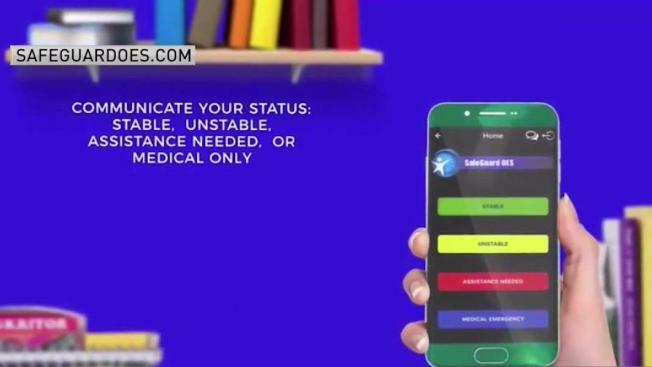 A Palo Alto company is set to launch an app that is geared to help connect teachers with first responders during a life-threatening emergency such as a school shooting. SafeGuard OES' app, which is set to roll out next month, will allow teachers and staff to alert law enforcement officers exactly where they are in the event of a major emergency. The app also features a chat function and a map feature to show where problems might be happening on a campus. CEO Mike Jacobs says that the information can help officers get to where they need to be right away. "We're not only helping to keep our students and our staff safe, but we're helping to keep our law enforcement professionals and emergency responders all together stay safe as well," Jacobs said. "I think for better risk informed decision making process we’re able to eliminate a problematic situation a whole lot quicker." News of the app's upcoming release comes as the nation deals with its latest mass shooting. A 19-year-old former student on Wednesday opened fire at a South Florida high school, killing at least 17 people. Some schools and law enforcement agencies are already testing out the SafeGuard OES app.